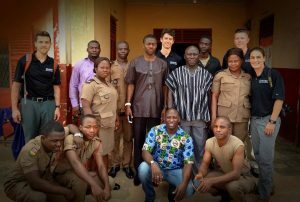 Volunteers from Clackamas Fire District 1, Jared Wick, Tyler Dickerson, Graham Heard, veteran volunteer Kyle Myers and Patrick DeLair head to Kumasi, Ghana, Africa to teach the national first responders Emergency Medical Services. This is GMR’s third teaching trip to Ghana. The class will be about building skills from previous missions, teaching new techniques as well as donating equipment. Some of the equipment that will be donated are trauma supplies, airway adjuncts, CPR training aids, to name a few. The class will focus on local emergencies. While natural disasters do not happen that often, it is not unheard of. The team will cover triaging multiple patients as well as best methods of transporting multiple people to definitive care. Hospitals and clinics are spread out in this region. Sometimes taking 4-5 hours to get to the next big city that has care. First Responders will learn techniques to take care of patients for longer than the 10-20 miniutes that first responders in the states care for patients. To learn more about this trip and to follow along, follow GMR on Facebook and Instagram. You can donate to this trip by going to the donate tab and selecting Africa. Besides being a lieutenant with Clackamas Fire, Pat DeLair also has volunteered for the nonprofit Global Mission Readiness for eight years. 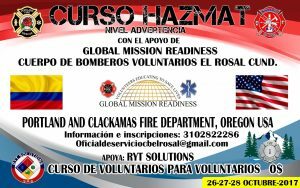 GMR is a charitable organization that was founded by a group of Clackamas firefighters dedicated to providing emergency services education, training and resources to developing nations, and to promote disaster prevention and self-reliance. To date, GMR has trained thousands of first responders in the Americas, the Caribbean, Africa, Central Europe and Southeast Asia. Over the past year, the current GMR CEO Don Davis has been training DeLair to lead the next chapter of the nine-year-old organization. 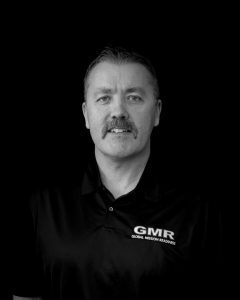 DeLair, a 10-year veteran of Clackamas Fire, currently serves as the vice president and operations director with the GMR Board of Directors. Davis plans to retire in late 2018 as a captain for Clackamas Fire and will pass the GMR reins to DeLair at the end of 2017. DeLair is active in his community and serves on the Clackamas Firefighters Pipes & Drums Honor Band. He has been instrumental in fostering a number of GMR training projects in South America, including a fire academy in June for Cusco, Peru. GMR was founded on the premise that many countries are grossly underfunded and lack basic government support for emergency services. 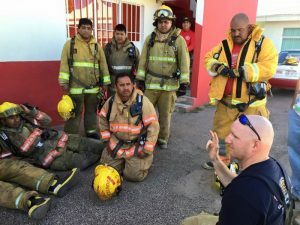 GMR brings education to those in need by providing multiple courses in first aid, fire service training, specialty rescue, disaster preparedness and law enforcement. The emphasis is on self-reliance, so that disaster relief will someday be unnecessary. GMR has over 100 volunteers from Oregon, Washington and California representing firefighters, EMTs, paramedics, nurses, doctors and law enforcement officers who donate their time and raise funds to travel and train others. With no paid employees, GMR relies solely on donations, grants and fundraisers to support its projects abroad. Even as GMR’s CEO, DeLair will have to keep his job with Clackamas Fire and volunteer to serve GMR during his time off. DeLair has led teams of volunteers to Bolivia, Mexico, the Dominican Republic and coming up in January — Ghana, Africa. One of DeLair’s goals with GMR is to reach out to other agencies and first responders while in a country teaching and training. He says this will not only promote GMR’s mission, but also allow GMR to grow and reach more communities in a positive way. DeLair is proud of what GMR has done and looking forward to the future. 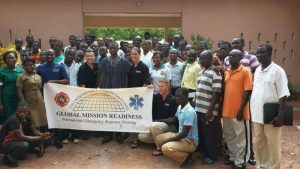 To learn more about GMR, to donate or to get involved, you can visit www.globalmissionreadiness.org or email DeLair at pdelair@globalmissionreadiness.org.